Changes in technology, user expectations, and the economy are redefining the roles and services of libraries and librarians. In response to these transformations, libraries are revising buildings, staffing patterns, collections, services, purchasing practices, technology, and more. Libraries are working smarter to do more with less and librarians are adapting to new and different roles. Our Wednesday, May 16 member conference will address these issues and offer best practices on how you can maximize the resources available at your library. We would love to showcase our vendors to our members! With the sponsorship, your company will get exposure to libraries of various sizes and types. This year our Learn @ Lunch sponsors will have the opportunity to do a short pre-recorded presentation. If you have any questions about the conference topic or presenting at an online conference, contact Tracy Rochow Byerly, Chief Programs Officer at byerly@amigos.org or 800-843-8482, ext. 2891. Below are the presentations that will play during the Learn @ Lunch session. If you are unable to attend, we still want you to participate! You can participate in the contest until May 25, 2018. Questions? Contact Terri at mertz@amigos.org. Good luck! We've all heard the saying, "Innovate or Die". What does this mean for libraries as we participate in one of the greatest technological revolutions yet? This talk presents why's and how's that all of us can use to create a culture of innovation. Based on the concepts of Strategic Conversations and experience in leading innovation across multiple types of libraries, the presenter will ground theory in practice by explaining innovation communities and the benefits they foster for staff, partners, and customers. Choices must be made when deciding what projects to take on and which ones need to be deferred. In a world where libraries need to do less with more, these choices can be very difficult. This presentation will describe an "I.D.E.A. document" that asks potential project managers to: (I)dentify; (D)efine; (E)xpand; and (A)uthorize the basic premise of their idea. This one to two-page document helps decision makers understand where resources would be allocated and makes transparent the work throughout the organization. The I.D.E.A. document is based within formal project management and contains essential elements such as scope, budget, stakeholders, and risks through a value-added process that minimizes red tape. Linscheid Library tripled their average reach on Facebook without spending money on ads and without investing loads of time into creating original content. The presenters will discuss quick, simple ways to create live videos and incorporate special collections into social media posts. They will lead participants in activities to identify resources available at their home libraries that can be converted to social media content and will encourage participants to share about their own social media successes. Twenty-three years later after the campus library building was completed, a local bond made funds available to replace the original thread-bare and worn out carpet in the 10,000-square foot facility. Since everything was going to have to be moved, we were able to systematically replace, reorganize and re-envision spaces, processes and collections. During the project, we incorporated the reference collection into the regular stacks and created a special collection for local legal resources among other substantial changes. We re-purposed old reference shelving to create "cafe'" seating areas through the library and by making longer stack ranges we were able to create more open spaces for student seating. Planning consisted of everything from moving around scale model pieces of paper representing stacks and furniture to moving around actual stacks and furniture to see how it looked. It was an extremely tedious, iterative and exhausting process. Attend this important session to hear the latest news from Amigos Library Services Board of Directors Chair, Ruben Aragon and Treasurer Jean Waldrop. Voting representatives will participate in the election of four new members of the Board of Directors. Members, you won’t want to miss this! Several of our vendor partners will tell you what's going on at their respective companies. Listen to the short presentations and at the end you will hear the Amigos SECRET WORDS. Make note of those words, go to the conference website, and click on the contest tab. There will be space for you to enter these words and then submit your contact information. You will automatically be entered to win an Amazon Gift Card! Can't attend the presentations? On May 1, the conference website will have them posted. Listen ahead of time, complete the form, and STILL be eligible to win! This is a fun and easy way to learn what's new from our vendor partner sponsors. How have the Libraries contributed to your success? Asking this simple question to stakeholders can go a long way toward library advocacy. In 2017, the University of Missouri Libraries' Marketing Team established a method for gathering library user success stories and publishing them on their news page. Under the banner of "Cycle of Success," the University Libraries invite users to allow the them to feature their work and share their stories. These curated stories have gone on to be featured in campus newsletters and news outlets, which has extended the reach of these stories and has centralized the libraries in campus conversation. Cycle of Success is the idea that libraries, faculty, and students are linked; for one to truly succeed, we must all succeed. The path to success is formed by the connections between University of Missouri Libraries and faculty members, between faculty members and students, and between students and the libraries that serve them. More than just success, this is also a connection of mutual respect, support, and commitment to forward-thinking research. Doing more with less is the reality facing all librarians. But let's be honest. That approach, usually forced on us by funding constraints, at best cuts corners and buys a little time. In the long-run it reduces library quality and burns out employees. Implementing a "doing less with less" strategy results in increased productivity and decreased stress. In this session, we explore how a two-year college library has been able to increase the value of its service and collection by doing less with less, while gaining a great deal more in the process. In August 2012, Linscheid Library underwent a full staff reorganization to realign job duties and titles that had become skewed due to high staff turnover. With the full cooperation of all staff, redeployment went smoothly and was received positively. However, staff turnover is still problematic creating the need to fill voids efficiently and effectively. Cross-training is now a priority, with official ICE designations made to compensate for vacations, illness, and resignations. This first part of this presentation will walk through the reorganization process and subsequent training materials for new hires. The second half will focus on dealing with staff absences, creating ICE contacts, and cross-training materials and issues. We tend to think of library services as simply circulation, reference, and programming, but libraries do so much more. Unfortunately, though, when it comes to serving our communities, we are sometimes our own worst enemies. All too often, we establish policies and practices that are built around our convenience and expectations instead of the needs of those we serve. Breaking free of this mindset can be difficult, and it may require slaughtering a herd of sacred cows. Building a truly community-focused library intent on removing unnecessary barriers allows our users to define their own experiences—ones without artificial limitations. This can have long-term benefits in how we are perceived, better utilize our scarce resources of time and money, and maybe even reignite staff’s passion. It’s time to rethink library services beyond the traditional model and unleash the creativity of our staff and our community. Session Description: We've all heard the saying, "Innovate or Die". What does this mean for libraries as we participate in one of the greatest technological revolutions yet? This talk presents why's and how's that all of us can use to create a culture of innovation. Based on the concepts of Strategic Conversations and experience in leading innovation across multiple types of libraries, the presenter will ground theory in practice by explaining innovation communities and the benefits they foster for staff, partners, and customers. 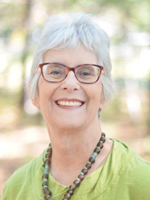 Speaker Bio: Mary Lee Kennedy partners with organizations to empower and inspire local and global communities to create and use the knowledge that enhances lives. While digital technology has opened education and economic development opportunities, there is vast untapped potential in how we connect and use information. In her consulting practice and as the former Chief Library Officer at the New York Public Library, Senior Associate Provost at Harvard, and Director of Knowledge Networks at Microsoft, Mary Lee’s career is focused on innovating the way we share credible knowledge. Session Description: Choices must be made when deciding what projects to take on and which ones need to be deferred. In a world where libraries need to do less with more, these choices can be very difficult. This presentation will describe an “I.D.E.A. document” that asks potential project managers to: (I)dentify; (D)efine; (E)xpand; and (A)uthorize the basic premise of their idea. This one to two-page document helps decision makers understand where resources would be allocated and makes transparent the work throughout the organization. The I.D.E.A. document is based within formal project management and contains essential elements such as scope, budget, stakeholders, and risks through a value-added process that minimizes red tape. 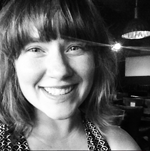 Speaker Bio: Beth is an Assistant Librarian at Texas A&M University where she is the Service Design Librarian. 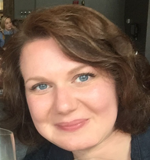 In this role she connects user experience and project management to develop and enhance library tools and services. She received her Professional Management Professional certification in 2017 and has over 4500 hours of project management experience. Currently her work includes an investigation into library inventory discovery, redesigning the SFX user flow, building out the Libraries' project portfolio, and integrating a new digital assets management ecosystem into the current user experience. Her research interests include user search behavior, design thinking, library governance, and universal design. Session Description: Linscheid Library tripled their average reach on Facebook without spending money on ads and without investing loads of time into creating original content. The presenters will discuss quick, simple ways to create live videos and incorporate special collections into social media posts. They will lead participants in activities to identify resources available at their home libraries that can be converted to social media content and will encourage participants to share about their own social media successes. 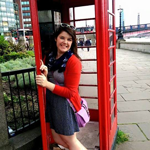 Speaker Bio: Megan Hasler is the Technical Services Librarian at East Central University in Ada, OK. She graduated from Harding University with a BA in Early Childhood Education and Louisiana State University with a Master of Library and Information Science. Speaker Bio: Marla Lobley is the Public Services Librarian at East Central University in Ada, OK. She graduated from the University of North Texas with a BS in Family Studies and a MS in Library Science. She has presented at the 2015 Texas Library Association conference and the 2017 Oklahoma Library Association iCon. Session Description: Twenty-three years later after the campus library building was completed, a local bond made funds available to replace the original thread-bare and worn out carpet in the 10,000-square foot facility. Since everything was going to have to be moved, we were able to systematically replace, reorganize and re-envision spaces, processes and collections. During the project, we incorporated the reference collection into the regular stacks and created a special collection for local legal resources among other substantial changes. We re-purposed old reference shelving to create "cafe'" seating areas through the library and by making longer stack ranges we were able to create more open spaces for student seating. Planning consisted of everything from moving around scale model pieces of paper representing stacks and furniture to moving around actual stacks and furniture to see how it looked. It was an extremely tedious, iterative and exhausting process. 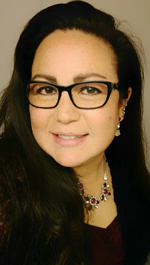 Speaker Bio: Barbara Lovato has worked in the library field for nearly 20 years and is currently the Library Director and Senior Lecturer III at The University of New Mexico-Valencia Campus. She has worked in every area (technical services, public services, reference and administration) and position (technician, specialist, Librarian, Associate Director and Director) in an academic library. 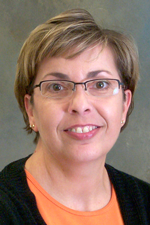 She has taught Library Instruction sessions in a wide range of topics as well face-to-face, for-credit instruction in the area of Research Methods. 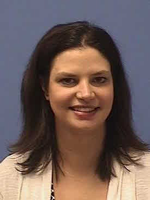 Her research interests, publications and presentations have included Library User Satisfaction, Internet Research, Copyright and Fair Use and Emerging Information Technologies. She is a wife, mother and grandmother and enjoys volunteer work, reading, watching movies, working as background in television and movies, fishing, hunting, hiking and spending time with her family. Session Description: How have the Libraries contributed to your success? Asking this simple question to stakeholders can go a long way toward library advocacy. In 2017, the University of Missouri Libraries' Marketing Team established a method for gathering library user success stories and publishing them on their news page. Under the banner of "Cycle of Success," the University Libraries invite users to allow the them to feature their work and share their stories. These curated stories have gone on to be featured in campus newsletters and news outlets, which has extended the reach of these stories and has centralized the libraries in campus conversation. Cycle of Success is the idea that libraries, faculty, and students are linked; for one to truly succeed, we must all succeed. The path to success is formed by the connections between University of Missouri Libraries and faculty members, between faculty members and students, and between students and the libraries that serve them. More than just success, this is also a connection of mutual respect, support, and commitment to forward-thinking research. Speaker Bio: Taira Meadowcroft is an Information Services Librarian for the J. Otto Lottes Health Sciences Library at the University of Missouri. She focuses on providing evidence-based information to health practitioners in MU Health Care and assisting with their quality improvement efforts. It is through her work on the University of Missouri Libraries’ Marketing Team that she communicates the valuable impact the library can make in health care. While librarian by day, by night, Taira is an avid podcast listener, who has far too many episodes in her queue which causes a tiny bit of anxiety, but it’s all in the name of learning. 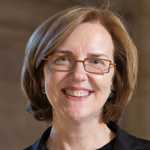 Speaker Bio: Grace Atkins is the Outreach & Open Education Librarian for the University of Missouri Libraries. A longtime advocate for open education, Grace is currently a designer and implementer of the University of Missouri System's Affordable & Open Educational Resources initiative, a SPARC Open Education Leadership fellow, and an Open Textbook Network system leader for the state of Missouri. She is an active member of the University of Missouri Libraries' Marketing Team, which streamlines communication and leads library advocacy efforts. Session Description: Doing more with less is the reality facing all librarians. But let's be honest. That approach, usually forced on us by funding constraints, at best cuts corners and buys a little time. In the long-run it reduces library quality and burns out employees. Implementing a "doing less with less" strategy results in increased productivity and decreased stress. In this session, we explore how a two-year college library has been able to increase the value of its service and collection by doing less with less, while gaining a great deal more in the process. 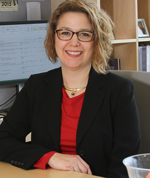 Speaker Bio: Sara Seaman’s library career reflects a diversity of experience and practices. It bridges the 20th and 21st century technologies, from card catalogs to Integrated Library Systems, Telex II to internet based databases, and print to digital. Seaman has worked in libraries large, medium, and small; encompassing public, corporate, and academic settings; and positions ranging from business and engineering specialist, one-person librarian, corporate consultant, to library director. Libraries include the University of Oklahoma Library, Tulsa City-County Library system, Rockwell International, major oil-industry corporations, Tulsa Community College, and Omaha’s Kaplan University. She is happy to be at home in Hot Springs, Arkansas, directing the National Park College Library since 2008. Session Description: In August 2012, Linscheid Library underwent a full staff reorganization to realign job duties and titles that had become skewed due to high staff turnover. With the full cooperation of all staff, redeployment went smoothly and was received positively. However, staff turnover is still problematic creating the need to fill voids efficiently and effectively. Cross-training is now a priority, with official ICE designations made to compensate for vacations, illness, and resignations. This first part of this presentation will walk through the reorganization process and subsequent training materials for new hires. The second half will focus on dealing with staff absences, creating ICE contacts, and cross-training materials and issues. Speaker Bio: Dana Belcher has served as the library director at East Central University’s Linscheid Library since January 2016, and served as assistant library director from July 2005-December 2015. 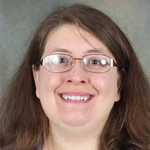 After receiving her MLIS from the University of Oklahoma in 1996, she served as the periodicals and acquisitions librarian at ECU from July 1997-December 2015. 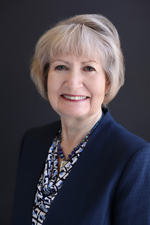 She has been active in OLA since 1997, serving as chair of the Interlibrary Cooperation Committee for two years, as co-chair of the Vendor Relations Committee since OLA’s Centennial in 2007, and on the Program Committee for conference. Dana truly enjoys being involved in the professional association and in the entire conference process. She was active in SIGALO (Serials Interest Group for All Libraries in Oklahoma) and OKULS (Oklahoma Union List of Serials), serving as webmaster for both. Dana is an experienced librarian having served all areas of the profession, from acquisitions to cataloging to circulation, reference, instruction and as liaison. Service and assessment are her passions as they are the driving forces to providing a positive and productive experience to all library users. Session Description: We tend to think of library services as simply circulation, reference, and programming, but libraries do so much more. Unfortunately, though, when it comes to serving our communities, we are sometimes our own worst enemies. All too often, we establish policies and practices that are built around our convenience and expectations instead of the needs of those we serve. Breaking free of this mindset can be difficult, and it may require slaughtering a herd of sacred cows. Building a truly community-focused library intent on removing unnecessary barriers allows our users to define their own experiences—ones without artificial limitations. This can have long-term benefits in how we are perceived, better utilize our scarce resources of time and money, and maybe even reignite staff’s passion. It’s time to rethink library services beyond the traditional model and unleash the creativity of our staff and our community. Speaker Bio: John Spears has been Chief Librarian & CEO of the Pikes Peak Library District (PPLD) since early 2016. Mr. Spears has nearly 20 years of experience working in urban, suburban, and rural libraries. Prior to joining PPLD, he served as the director of libraries in Salt Lake City (UT), Naperville (IL), and Joliet (IL). John is a past president of the Library Leadership and Management Association (LLAMA) and was the 2015 Utah Librarian of the Year. 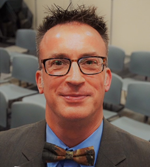 He is active in PLA as a contributing editor to Public Libraries magazine and co-author of “Forward Thinking,” a column that explores trends in public librarianship. He believes that libraries act as a catalyst in the artistic, cultural, economic, and civic development of their communities, and that the strength of a library resides in the staff and the connections they form with those they serve. In addition to his work in the library profession, John’s passions include serving those experiencing homelessness, working with young addicts to overcome their dependency and reach their full potential, and promoting and participating in the arts. Within his own community, he serves on the governing board of the Pikes Peak Continuum of Care and the boards of the Colorado Springs Youth Symphony Association, Cultural Office of the Pikes Peak Region, the Ithaka Land Trust and Downtown Partnership of Colorado Springs. He also enjoys traveling, cooking, and taking care of their three dogs with his partner, Brian.